Hand operated desktop label dispenser, designed to separate pre-printed labels/ stickers from their backing paper without damaging the label. 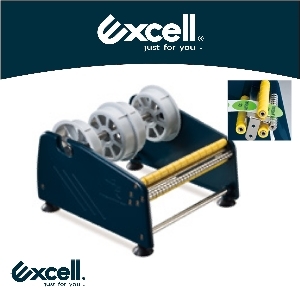 Accommodates up to 150mm wide labels or two or three narrower labels together. Standard 72mm core holders keep the rolls from becoming tangled. Recommended for low volume applications.